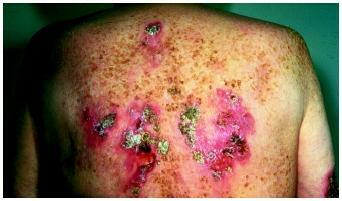 Below are a few pictures of a few manifestations of the different stages of Syphilis. 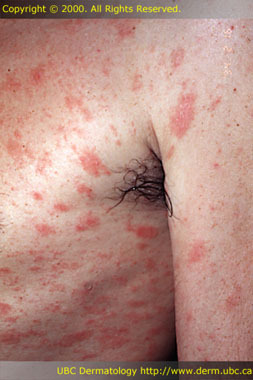 NOT Syphilis: This is Pityriasis Rosea. But there’s no way to tell!!! Never diagnose “PR” without drawing syphilis serology. 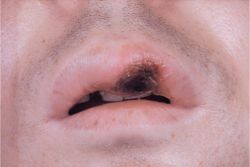 Secondary Syphilis — Mucus Patches: Plaques or erosions on mucus membranes. 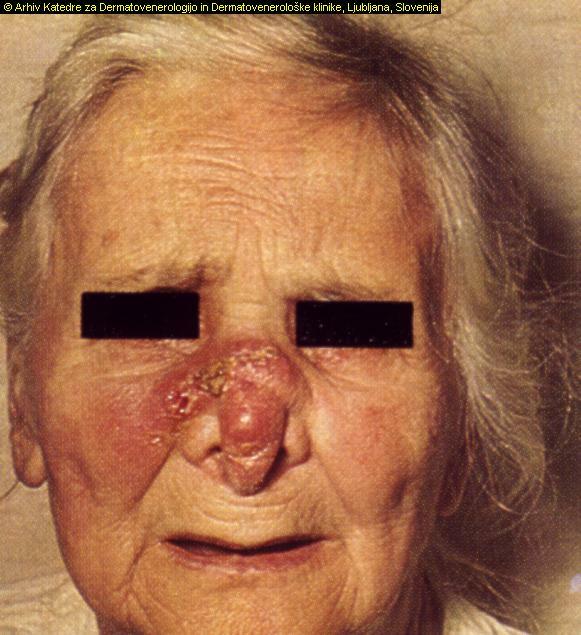 Secondary Syphilis — Condylomata Lata: Nodules or verrucous lesions in intertriginous areas or mucus membranes. 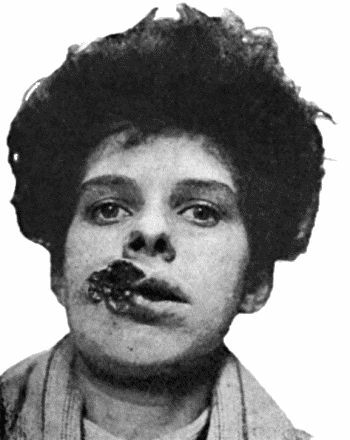 Tertiary Syphilis — Gumma: Heaped-up, disfiguring granulomas on skin, bone, or viscera [rarest form of 3° Syphilis].